Say goodbye to hybrid dinosaurs following the events of Jurassic World: Fallen Kingdom. Universal has already announced that Jurassic World 3 will arrive in theaters in 2021, three years after the arrival of the upcoming sequel. Colin Trevorrow, who directed the first Jurassic World, is returning to the director's chair for the third installment and, while he can't dish too many details, given that the second movie isn't even out yet, he's promised that the idea of hybrid dinosaurs will be extinct come time for the final movie in this new trilogy. In anticipation of the release of Jurassic World 2, Colin Trevorrow recently spoke with Total Film Magazine. Even though he didn't direct this upcoming installment of the Jurassic Park franchise, leaving that up to J.A. Bayona, he did co-write and produce the movie. Looking ahead to Jurassic World 3, the director promised that the idea of hybrid dinosaurs will not continue past Jurassic World: Fallen Kingdom, which will introduce us to the Indoraptor, which has been featured quite a bit in the marketing. Speaking a bit further, Trevorrow explained he's looking forward to getting back to slightly more pure dinosaurs. Here's what he had to say about it. "I'm looking forward to, in the third film, getting a little back into the Paleontological, wild animal, true dinosaur nature of all of it." The fact of the matter is that none of the dinosaurs in the Jurassic Park movies are real, pure dinosaurs. Not only have they been genetically engineered in a lab, but many of the creatures were created by filling in gaps in their DNA with other animals. But still, it sounds like Jurassic World 3 won't be featuring any totally made up creatures. Just don't expect the raptors to suddenly have feathers, as they would have were the dinosaurs in this franchise more accurate. B.D. Wong's Dr. Henry Wu discussed the fact that the animals in the park weren't as they would have occurred in nature in Jurassic World as well. Jurassic World introduced us to the idea of hybrids with the Indominus Rex. The Indoraptor was briefly teased by Vincent D'Onofrio's character Hoskins before he met his bloody demise. 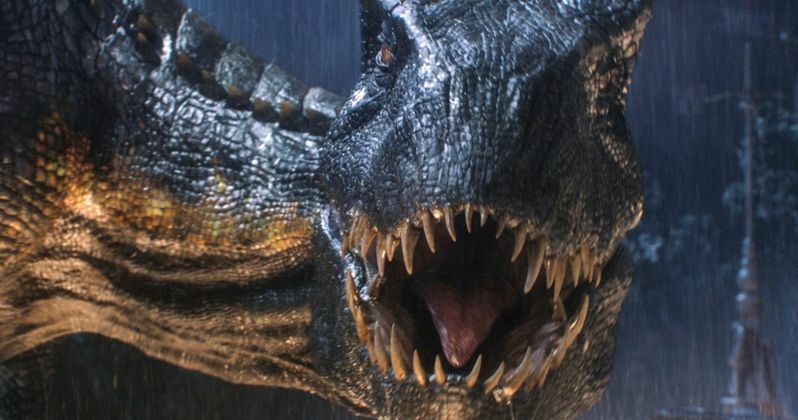 Since Jurassic World is one of the highest-grossing movies ever made, it's not too surprising that the idea of hybrids has been carried over into the sequel. That said, it also might be good for fans to hear that they aren't going to continue milking that idea throughout this entire trilogy. Related: Sam Neill and Laura Dern to Return in Jurassic World 3? Colin Trevorrow will co-write Jurassic World 3 with franchise newcomer Emily Carmichael. Universal has dated the movie for June 11, 2021. In addition to the information about the lack of hybrid dinosaurs, Trevorrow also previously described the movie as a "science thriller" and said that it will be closer to the original Jurassic Park in tone. Before that happens, we need to see what goes down in Jurassic World: Fallen Kingdom, which hits theaters on June 22 and, in addition to introducing the Indoraptor, will see more dinosaurs making their way to the mainland. This news comes to us courtesy of Total Film. What's Happening in the Jurassic World 2 Post-Credit Scene?